I’ve been on a mission to incorporate more veggies into my daily diet and this is one of my FAVORITE recipes that I want to share with you! I LOVE-LOVE chicken fried rice, but unless I’m knee deep in marathon training and logging 50+ miles a week, I don’t always love the extra calories and starchy carbs. 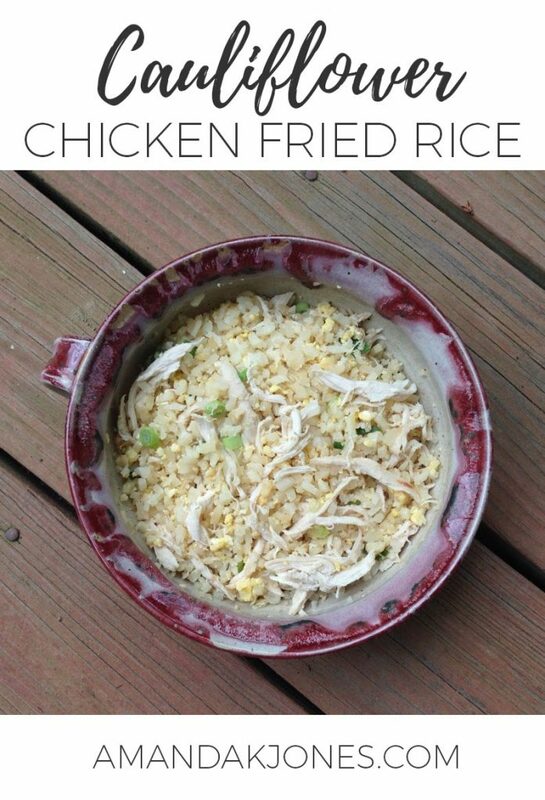 This version made with cauliflower rice TOTALLY fits the bill when I’m craving Chinese and want to stay in FAT LOSS or MAINTENANCE MODE. What’s even better is you can eat A TON and feel completely full and satisfied! It’s also SO stinkin’ easy to make! 1. Heat large nonstick skillet, lightly coated with spray, over medium heat. 2. Add garlic and HALF of green onion. Cook, stirring frequently, for 1 minute. 3. Add cauliflower. Cook, stirring frequently for 4-6 minutes, or until cauliflower is tender-crisp. Reduce heat to medium-low. 4. Make a well in center of cauliflower mixture. Add egg. 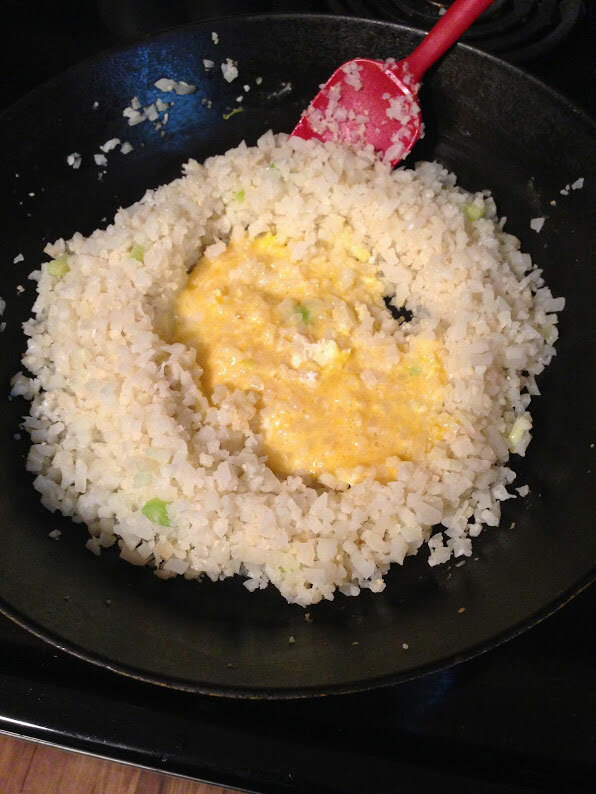 Cook, stirring frequently to scramble egg into cauliflower mixture, for 2-3 minutes or until egg starts to set. 5. Add oil and soy sauce. Cook, stirring frequently, for 2-3 minutes, or until well-mixed and heated through. 7. Top with remaining half of green onion. My grocery store is awesome and sells small packages of shredded Rotisserie chicken. It costs a little extra but knowing I always have some shredded chicken in the frig is totally worth it to me. If you don’t have this option and you’re feeling ambitious you can also meal prep some chicken in the crockpot. Most grocery stores sell fresh or frozen bags of cauliflower rice. But if you can’t find it in the store (or want to save a couple bucks), you can make your own cauliflower rice. Place half a medium head of cauliflower (cut into florets) in a food processor. Pulse until cauliflower is cut into pieces about the size of rice. Repeat with the other half. In small batches place cauliflower on heavy-duty paper towel and squeeze dry any excess water. To make gluten-free you can sub out sodium sauce for liquid aminos. Questions or comments? Send me a message on my Facebook page! 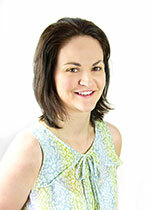 Want to spend more time LIVING and less time fussing in the kitcken? Join my FREE 30-day Instant Pot Meal Prepping challenge!